Why is it a Good Idea to Hire a Board Certified Specialist? I recently had a client ask me, “What’s so special about Board Certified attorneys? Aren’t all attorneys board certified?” Interestingly enough, not all attorneys are Board Certified. Board Certification has nothing to do with certification to become an attorney. It is, in fact, an additional achievement that an attorney can strive for. In order to become Board Certified, an attorney has to have a certain amount of experience. They have to have been practicing for at least five years in the area that they’re practicing. For instance, you wouldn’t be considered if you’d spent four years practicing family law and only one year practicing workers’ compensation. After they meet their experience requirements, they can apply to become board certified. Their work will be reviewed extensively, and finally, they will have to take a day-long written examination. The idea behind Board Certification is continued education. The attorney must be committed to proving that they’re willing to continue learning and studying their field. Attorneys who obtain Board Certification have to renew their certification every 5 years. This ensures that even once becoming Board Certified, an attorney’s education will continue. So when you hire a Board Certified Workers’ Compensation specialist, you know you’re hiring someone who has been thoroughly vetted and is well educated in their field. 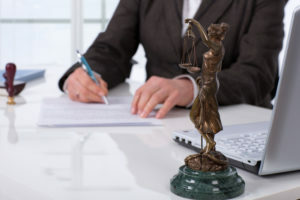 You can bet that attorney is willing to work hard and tirelessly to make sure that your case is given the proper attention, and that a fair outcome is obtained. At Oxner + Permar, we’re proud to say that we have seven Board Certified attorneys on our team. If you have any questions about what it means to be Board Certified or about your workers’ compensation claim, don’t hesitate to give us a call for a free consultation.